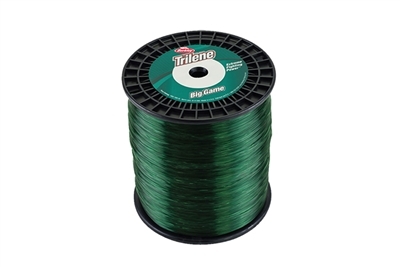 The Berkley Trilene Big Game Monofilament is designed to hold tough in a wide range of water conditions when dealing with big fish around cover. Built with superior strength, abrasion resistance and outstanding knot strength for going toe to toe with those more seasoned larger fish and their tricks. The Low-Vis Green color choice is ideal for off color water and around vegetation.